Sony has officially announced the Sony Xperia ZL2 Android smartphone for the Japanese market, as the successor to the Sony Xperia ZL. Much alike to the first Xperia ZL, which was a slimmed-down version of the waterproofed Sony Xperia Z, the Xperia ZL2 also comes as a compact variant of the company's newest flagship the Sony Xperia Z2. 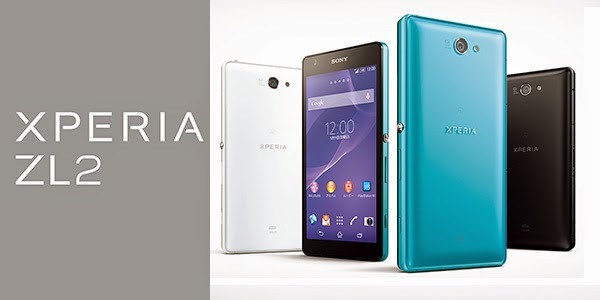 Unlike the previous Xperia ZL, however, the Xperia ZL2 is water- and dust-resistant. The Xperia ZL2 features a 5 inch touch display with a 1080 by 1920 pixel resolution, a 20.7 megapixel, 1/2.3'' sensor with G Lens, 32GB of internal storage which can be expanded through microSD, and a quad-core Snapdragon 801 processor with 3GB of RAM. The usual connectivity options, like Bluetooth 4.0, GPS, Wi-Fi 802.11 ac, and NFC, are also all on board. On the software side, the Xperia ZL2 runs the latest version of Android 4.4 KitaKat which has been customized with Sony's apps and user interface. The handset comes in three color options -- black, white, and turquoise. Sony has not revealed the price or exact release date of the Sony Xperia ZL2, but it is expected to be known soon. The Xperia ZL2 will most likely remain an exclusive to Japan and International availabilityis quite unlikely.